This summer, we’d like to return and talk about some of our most useful, engaging, or popular posts. 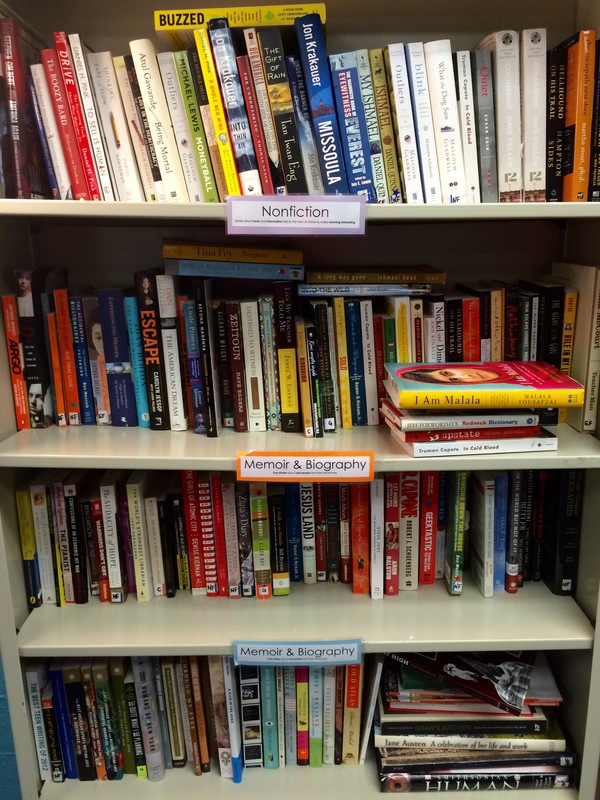 Today’s post, written by Shana in 2015, shows us how to get creative when building a classroom library. Please return to this topic and talk with us in the comments–what are your tips for building your classroom library? Yesterday was our last real day of school, and it was a busy one. My students spent our last class periods together sharing their final multigenre writings with one another, clearing out their writing portfolios, and packing up their notebooks. They also flooded me with classroom library books and sheepish smiles. “I opened a cabinet and found like 20 of your books!” Emily said. “If I bring back all your books, can I borrow like five for the summer?” Jordan asked. “I found The Book Thief and almost just kept it, for the irony,” Hailey explained. The five bookshelves in my classroom are mostly full of independent reading books–a class set of literature and grammar books, dictionaries, and book club collections provided by my department find their homes on the bottom shelves, but everything else has been a labor of love to build on my own. I began building my library six years ago, and started with anything I could find at Half-Price Books. I spent $20 a month in the clearance section, netting $1-2 finds that built my sci-fi and YA sections, and used my staff ID to get an extra 10% off. During the holidays, HPB ran promotions for free $5 or $10 gift cards with the purchase of a $25 gift card, and I took advantage of those aggressively. Next, I discovered Barnes & Noble‘s very generous 25% teacher discount, and shopped mainly in their clearance section, which was always well stocked with “former bestsellers.” This was perfect, as a book had been out just long enough to generate buzz among my students. I became a bit of a regular there, and began to ask the manager if he had any damaged, extra, or reject books he didn’t want. He obliged, providing me with class sets of The Perks of Being a Wallflower, Waiting to Exhale, and Tuesdays with Morrie–totally gratis. I also got lots of hardcover books that were being replaced by paperback editions, again, for free. Next, I discovered the generosity of my school’s PTA, which granted teachers up to $100 per year in classroom supplies. Every year, my $100 was spent at Wal-Mart, Half-Price Books, or any other purveyor of cheap books. By the time the summer of 2013 rolled around, my library was in decent shape–I had about 800 books, mostly paperback, mostly YA and general fiction. I traveled to New Hampshire to take Penny Kittle’s course about informational writing, and fell in love with nonfiction. I also met my amazing friends Amy, Jackie, Erika, and Emily, who told me about DonorsChoose. I created, and funded, several projects–especially ones that helped me get lots of nonfiction–right away, which increased the number of books in my library up to about 2,000–all without a dime of my own money. I also created DonorsChoose projects that were funded every October by U.S. Cellular, a partner of DonorsChoose. Depending on your state, big businesses or even celebrities may fund your existing projects of up to $1000. 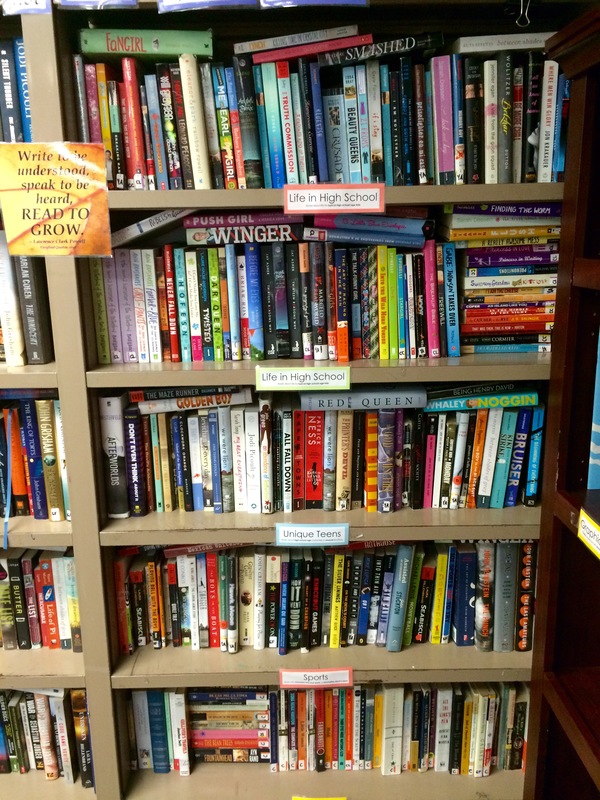 I used this partnership to fund two $1000 grants, growing my library up to about 3,000 books. For my next brainstorm, I began to write letters to local big-box businesses, asking for donations of gift cards to purchase books. Target, Sam’s Club, Kroger, and Wal-Mart all granted me gift cards, nearly monthly, of up to $50 per month. Target in particular was wonderful, as their website offers a wide variety of books, especially great nonfiction finds, and free shipping on purchases of $50 or more. When I finally got an iPhone in October of 2014, I joined Instagram and followed lots of bookish accounts. Through these book fanatics, I learned about Book Depository, which offers discounted books with free shipping to anywhere in the world; Books-a-Million, which has a wonderful bargain section and an awesome used books market; and the glorious world of GoodReads giveaways, where free ARCs can be won by one and all. Thriftbooks, too, has cheap books (around $3 each) and free shipping over $10. This summer, I’ll take a week of rest, then begin to write book donation request letters, a DonorsChoose grant, and a variety of Morgantown-specific grants. I’ll focus on replacing lost or stolen books, getting newly-paperback titles, and building shelves I think are a little weak. 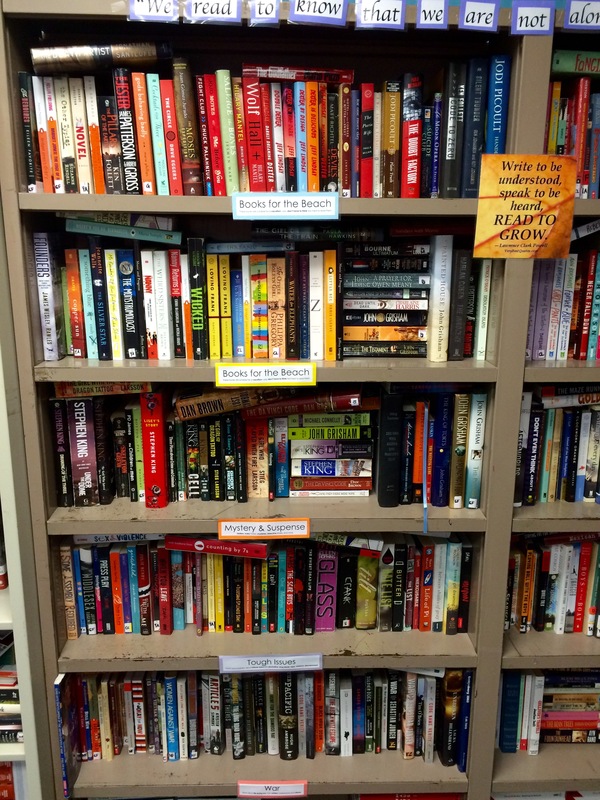 I hope you’ll use this slew of resources to build your library, and your readers’ choices, too! 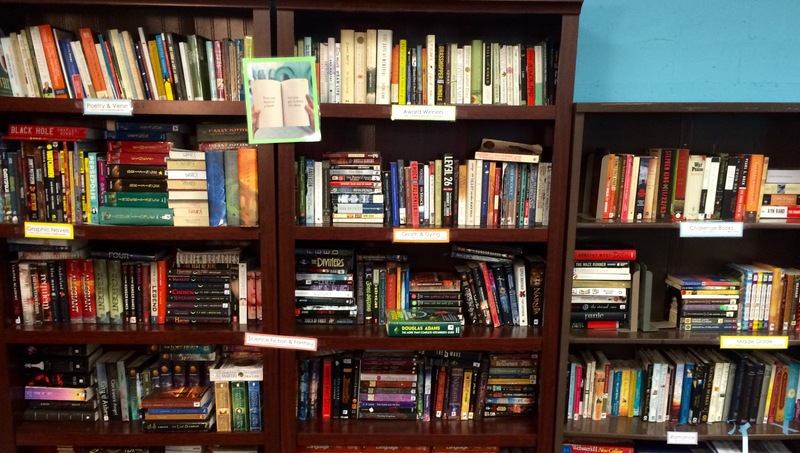 What are your favorite strategies for building your library?